Support your customers throughout their journey. Help desk software for tourism and hospitality. Customer service in the tourism and hospitality sector is paramount to success. For your business to thrive, you need to put effort into keeping your clients, and keeping them loyal. This means that your team needs to develop a long-term relationship with each customer that is about more than just making a sale. The customer's entire experience—from when they evaluate your business to when they leave positive reviews—must be so helpful and convenient that it creates a lasting impression on them. For this to happen, your team needs to make all points of contact efficient and make communication consistent. A study conducted by Cornell Hospitality in 2012 found that greater client satisfaction means higher revenue for a hospitality business, and that service plays a far greater role than price and location in a guest's purchase decision. Zoho Desk is the perfect help desk solution for your business. Empower your customers to find answers on their own. 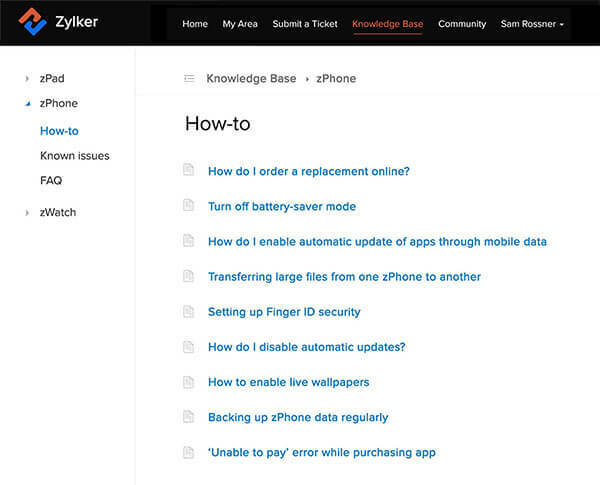 You can create an FAQ page to provide solutions to common questions like, "How can I make a reservation?" or "What are the nearby attractions here?" or even "Where's the nearest ATM?" ASAP is an embeddable help desk that your customers can access right from your website or mobile app. 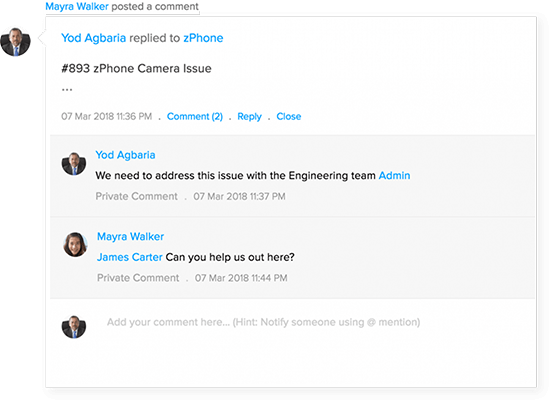 They can browse your knowledge base for helpful articles, ask the user community, and even raise a ticket without having to leave your website or app! 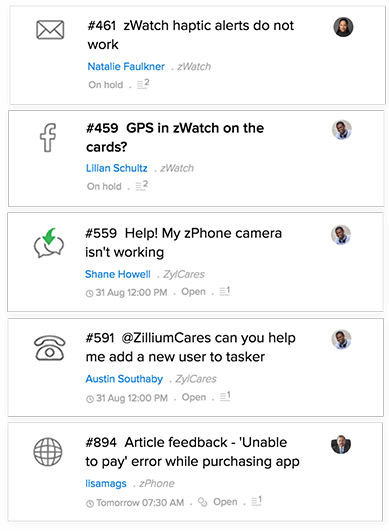 Zia is an AI-powered help desk assistant your customers can speak to or chat with from your website or mobile app. 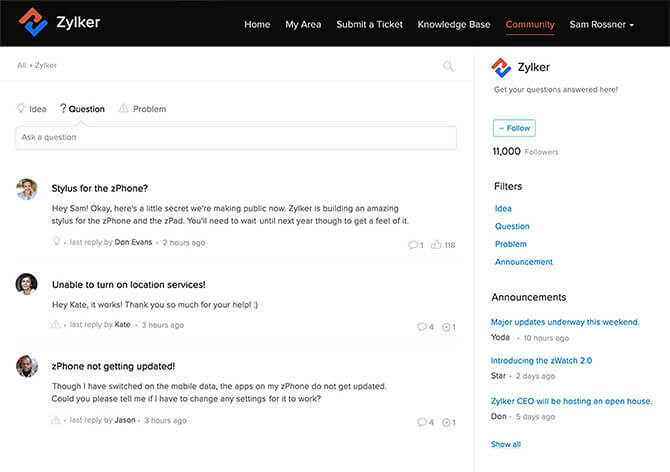 Zia processes their questions and automatically answers them based on content from your knowledge base. If your customers are faced with questions or problems just as they are about to confirm their stay, they can immediately reach out to you via multiple channels, be it email, phone, live chat, or social media. Zoho Desk brings all these conversations to one screen so that your agents are never overwhelmed. Zoho CRM is your one-stop database solution for managing all your prospects and customers. By integrating Zoho Desk with Zoho CRM, you can find out when a lead raises a support ticket, and respond right from the CRM interface. 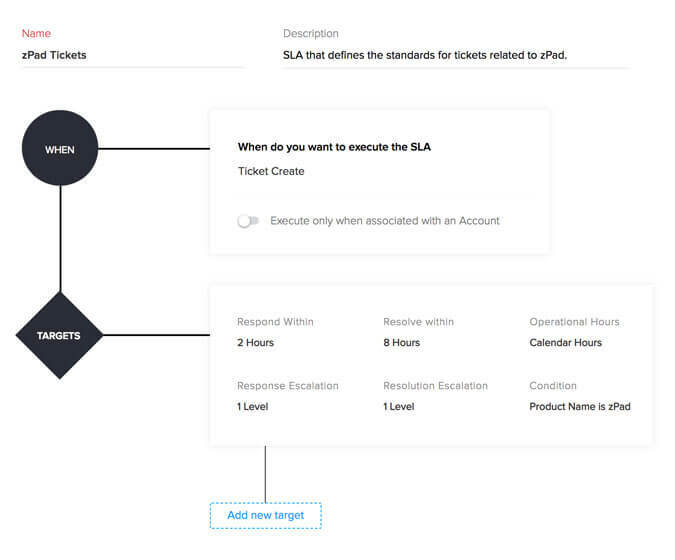 Your support agents can view tickets from prospects and notify sales reps to step in when required. Save your most common responses as Snippets and deploy them with simple keyboard shortcuts. 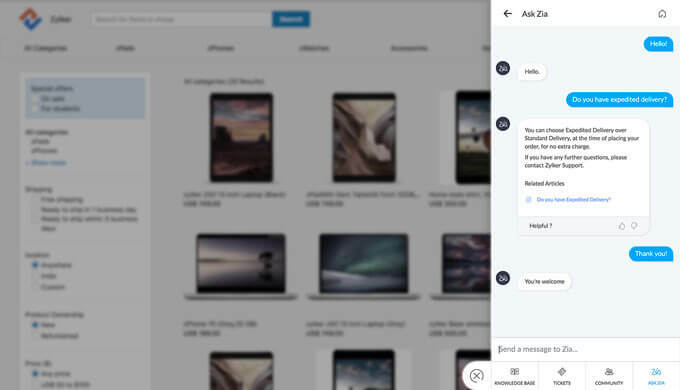 This way, you can send out faster responses to each customer the minute they reach out to you. And once their queries are sorted, they can go ahead with making a booking with your business. As soon as your guests step into your property, you can anticipate their needs and deliver appropriate service. 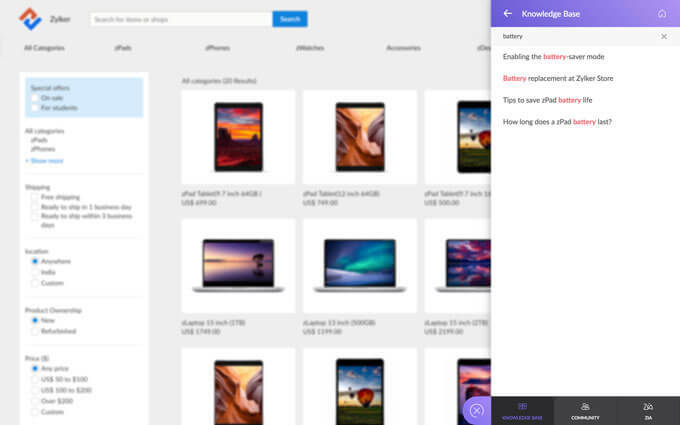 Zoho Desk's contextual ticket views show you vital customer information as well as an interaction history and a timeline of every ticket raised. Use this information to deliver more personalized responses and make every customer feel special. Make your guest's interaction with your property seamless. 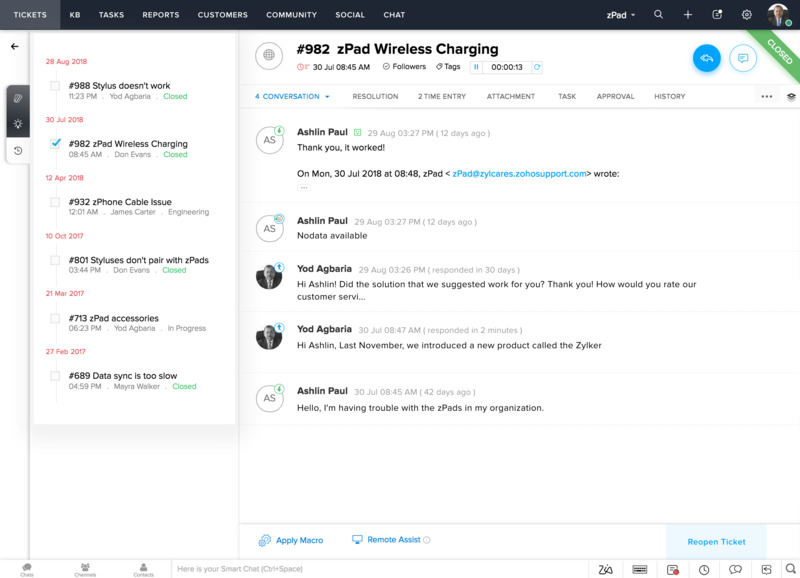 Information can be transferred between teams like the concierge and room service inside the help desk software. 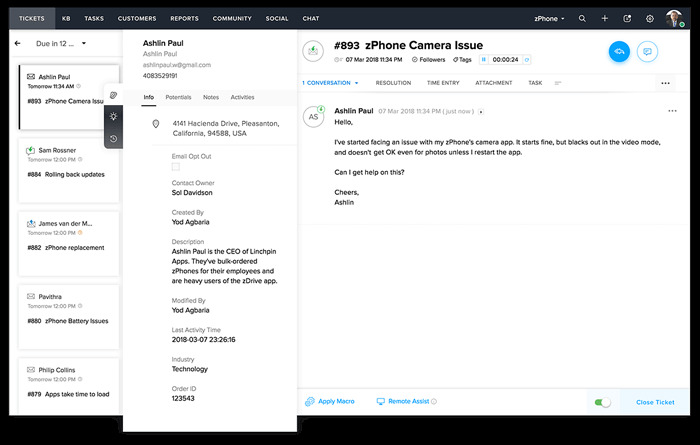 Departments can tag each other with just an @mention, and you can add certain staff as Light Agents to step in and solve the issue when necessary. Do you often receive special requests from your guests that require a lot of messy coordination? This won't be a problem with Zoho Desk. 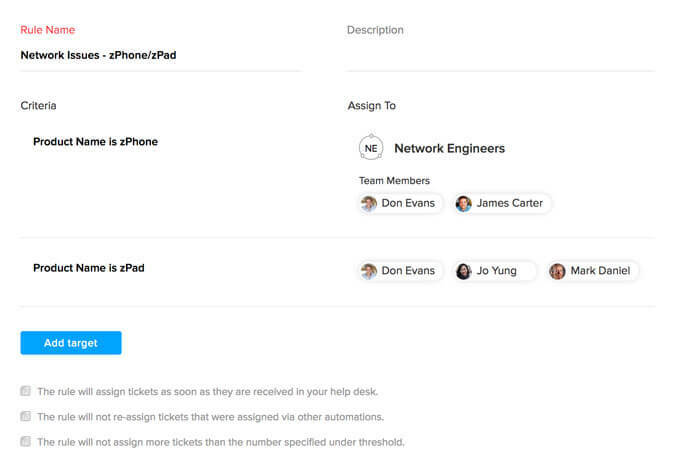 You can assign tickets directly to the team concerned, and even automate this assignment process. The appropriate teams can proceed to work on the tickets without any room for confusion. Your guests might have issues that need to be handled by different departments. When each department has its own style of working, having to share common resources might lead to a lot of frustration and misunderstanding. This is why Zoho Desk gives you multiple departments, and each department gets its own help center, complete with dedicated agents and channels. Good customer service involves timely responses and effective resolutions. Create SLAs for individual accounts in Zoho Desk that will trigger escalations if the response or resolution time are breached. This way, each guest receives a response without having to wait too long, and your team can improve their response times. Nobody likes to be left waiting without news. This is why Zoho Desk gives you the power to notify your customers about any progress made on their tickets. 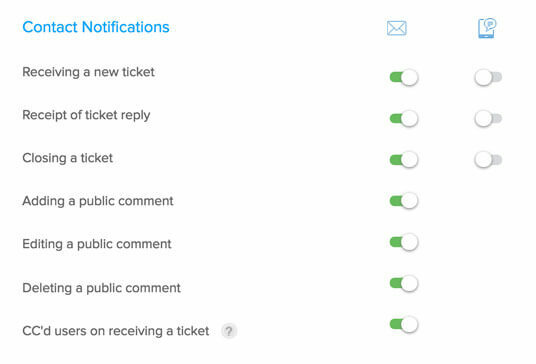 Agents can set notifications for themselves as well, so that they can stay on top of every activity related to your ticket. You can customize these notifications if you like. Happy customers make for great advertisement! The Community is an online forum for your customers and potentials to interact with each other. 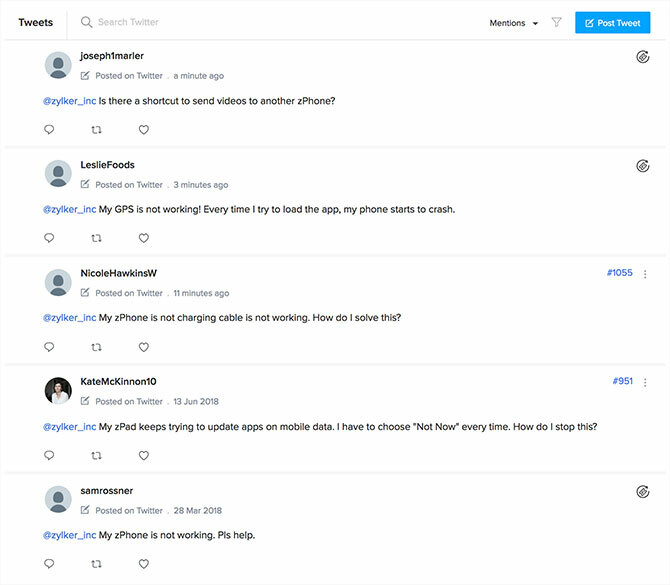 They can answer other users' questions and post their own as well. Send out a customized questionnaire every time you resolve a ticket. 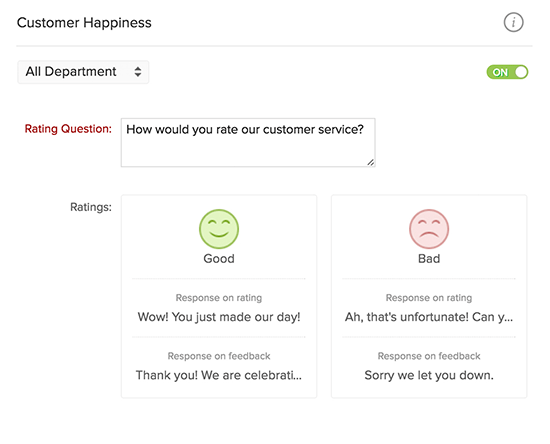 You guests can leave happiness ratings and give feedback as well. Nothing like constructive criticism to improve your business! This will also help you develop referrals for future travellers. The minute your guests tag you in a tweet or send you a DM, you can respond to them. There's a dedicated social network module in Zoho Desk which brings you public posts and private messages from Facebook and Twitter. Save the world from bad customer service.